How Regular should i vacuum? What are the benefits of vacuuming regularly? Can you really vacuum too much? What type of vacuum cleaners to use? This is a great question and one that's repeatedly asked. There are a few ways to look at the correct answer, and this can depend on your circumstances, like how often you vacuum already and the way you clean now. Yet, should vacuuming weekly be enough or does more regular cleaning be needed? Let's look at the reasons for using the vacuum more often and the benefits in doing so for you, and your home. Once a day where you have the most traffic or make the most mess. * Once a day where you have the most traffic or make the most mess. * Vacuum a couple of times a week other areas with less traffic. * Once a week in areas that receive the least amount of traffic or areas of less use. The problem with dirt and grime is that it's always around us, and once you vacuum and clean it away, it doesn't take long for it to return. So the longer you leave between vacuuming, the more it accumulates, which then creates a bigger job when you do get around to cleaning. If you're having visitors or relatives staying, we'd like to think our homes are clean and tidy, and if you vacuum and dust many times, then it's not a huge chore to do when people are coming to visit. I suppose if you vacuumed 5 or 6 times a day it would probably be classed as too excessive, but is this continually amount really practical? Not really. However, there are people who are a bit obsessed with cleaning and do clean a lot. With a lot of modern vacuums like the stick and cordless types, they are designed for quick cleanups which are handy and straightforward to set up and get going. So as long as your not using a vacuum 24/7, then it's never going to be a problem with How Often You Vacuum. If possible, try to vacuum each day and rotate areas that you clean. Start with the most important areas, particularly the ones that get the most traffic and are likely to get messy, like kitchens and the kids rooms. Other places that are not used at much such as guest bedrooms and dining rooms can be left for long intervals between cleaning. If you have a multi-floor home with a blend of hard floor, carpet and area rugs, then varying which ones you choose to vacuum each time will keep on top of the dust and dirt, before doing your thorough clean each week. There's not a worse feeling than getting up in the morning to a messy house. The feeling of untidiness and not being happy that the place is in such a mess doesn't do much for our mindset either. The sense of accomplishment when we clean and declutter and see the results of a clean and tidy home does excellent things for our state of mind. It can be just the thing to get us up and moving in the morning when maybe we are feeling a bit on the low side and need a little motivation. How Often Should You Vacuum, well there's no better therapy then a bit of cleaning and putting your cleaner to work in the house. We live in a world of bugs, dust, and bacteria, and our home can be a breeding ground with a high collection of people who spread around all types of organic particles and dirt. We think about pets shedding their fur and hair; we also shed our skin, which is approximately 1 million particles every 24 hours. That's a lot of stuff deposited around the place! So, how does this affect people who suffer from allergies likes asthma, and with breathing difficulties? Well, it's certainly not ideal, and by frequent use of the vacuum, you will help keep these effects to a minimum by reducing the risks. If you have pets shedding hair, that then lay on area rugs and carpets this can attract bugs like mites which have been brought in from the outside, carried in by the pets. 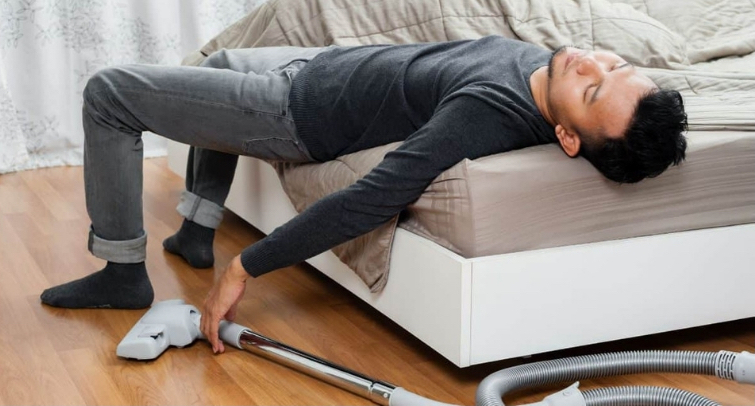 Repeatedly using the vacuum to keep these areas clean and free from any pathogens will make breathing in the air a lot more reasonable for many allergies sufferers. Added benefits of regularly using the vacuum are the exercise it's giving you. 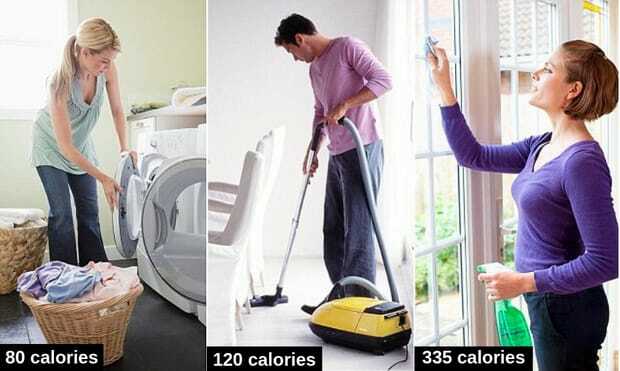 On average a half hour session with the vacuum cleaner can burn off 120 calories, with will help to keep you in trim. Plus it can help reduce your daily step count recommended at 10,000 steps per day. Therefore there are many benefits for getting out your vacuum cleaner which is usually daily. 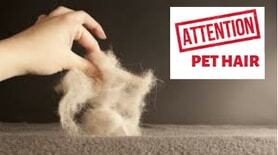 We all love our pets, but fur and pet hair gets all over and can be a daily task keeping on top. 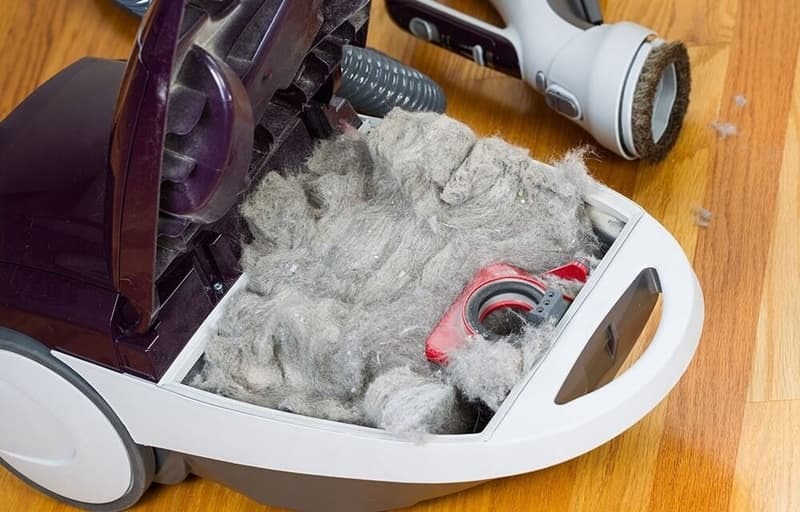 When it comes to vacuuming up these pet hairs, it needs to be done as often as possible. Which is another reason for cleaning pet areas like beds and feeding stations a number of times each day. There a few things to do before you start with the vacuum. Firstly tidy away any loose newspapers or stuff that's been laying around. Easy stuff that can be quickly picked up by hand and put into the bin or where it belongs is a great place to start. Any clothes or discarded socks can be collected up and placed into the laundry basket ready for the washing machine. Next, it's better to dust the area to be vacuumed first, which will remove any dust particles. It's recommended to use a slightly damp cloth to reduce any floating particles and allergens, which will reduce the risk of breathing this airborne dust. You can improve how you vacuum to make your cleaning routine more habitually and productive by making a few tweaks and checks to your vacuum, we recommend doing this regularly before you begin your clean. See where the dust bag is up to, and if it's above half full consider changing it for a new one. The vacuum will perform better once the bag has been replaced, by increase the suction power of the unit. If your vacuum is bagless, then emptying the bin beforehand, and remove any loose debris and dirt will help it run better. The brush roll needs a quick check over, and if this has any restrictions, the vacuum will not pick up very well. With pet hairs, they have a nasty habit of tangling around the bristles on the brush roll caused it not to spin normally. Careful removing this with scissors by carefully cutting along the vertical length which will loosen the hair making it simple for pulling it away and removing. Once these checks are done, it's time to set the vacuum up for cleaning. If you have hard floors and carpets, then you may need to adjust for these surfaces to clean effectively. This is a routine you need to get into time and time again. Some vacuums will automatically adjust to different floor heights, while others may need setting individually. Keeping to the areas of floors with the same setup will be more beneficial. If you have long pile carpet like shag rugs, then without regularly adjusting the setting of the beater bar you could damage the carpet fibers. 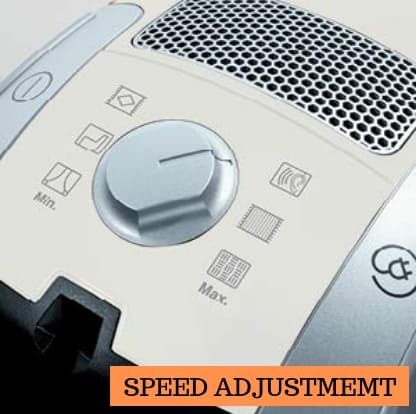 If your vacuum has a variable speed setting, this can be helpful in areas of high traffic where you need extra suction power to get deep down on foot trodden dirt. Also when using the commonly used tool attachments, like the wand for areas above head height on drapes and ceiling, the power setting will need reducing to prevent damage to these delicate fabrics. For most of us, the technique for vacuuming is pushing forward and pulling back over the floor surface being cleaned; however, this is not the most practical way to do this task. The direction of the cleaning head when cleaning should be done in all directions bit like a compass north, south, east, west. This method is great for covering and removing debris in all areas. Select a small area to start with, then widen the coverage as you vacuum to get the best results. If you have access to the vacuum attachments like the crevice tool, or maybe your model is a 2-1 with handheld options, then using this for cleaning corners and edges will maintain these areas. This isn't necessarily something you have to do each time you vacuum, but done more repeatedly will keep rooms clean and dust free. So, the more you vacuum, the easier it is next time you do it, and each time you vacuum the quicker the process becomes the next time you do it. When it comes to what kind of cleaner you use for vacuuming there are many choices, and a lot depends on what sort you like and more importantly how you get on with it, as not all vacuums are suitable for us. The upright is the most traditional vacuum we associate with. These now come with tool accessories so are more flexible than they used to be. They are heavier than other types but still a popular models especially on thick type carpet. The cleaning heads are static or can rotate to help maneuverability. A canister type is easy to use and has a long hose for tricky areas like stairs and hallways. The option to move upstairs is easier as it has a lot less weight to carry than an upright model. For quick and easy cleaning, the stick or 2 in 1 vacuum is a great cleaner. 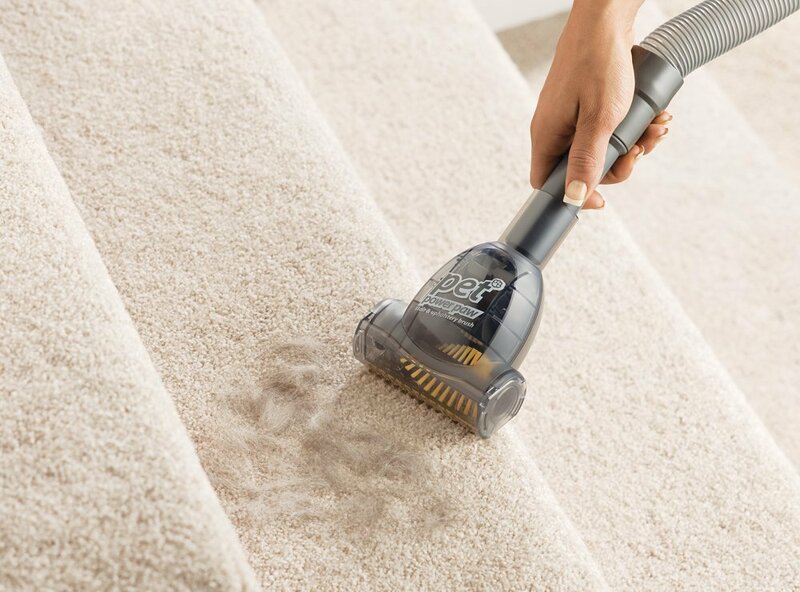 The ability to detach into a handheld for upholstery and blinds, and portable enough to take on the stairs, or even the car, make this type of vacuum extremely useful for many users. Some users will have a more than one type, a cordless for cleaning up small messes and use it to clean daily due to its ease of use, and a corded vacuum (either upright or canister type) for more weekly vacuuming duties. Any help towards a good filtration system will be of great benefit. And a HEPA type filter is one of the best against allergies which can protection up to 98.8% of any airborne pathogens. It's worth checking to make sure it has one, more so if you have pets or family members who suffer from breathing ailments. 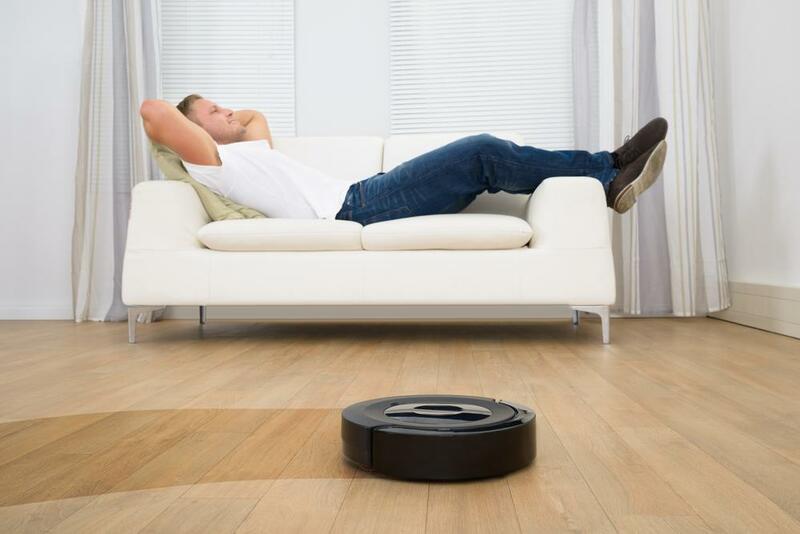 Now if you need to vacuum every day, what about a robot vacuum to help keep on top of the cleaning. Designed to work remotely, just press the clean button and it will clean continually for you. This is great if you have limited time to grab the vacuum each day. The Robotic cleaner may not replace your vacuum, but it will certainly assist in keeping the dirt and dust at bay. Q: Is vacuuming too much bad for carpet? A: As long as you use the right vacuum on your carpets, a daily vacuum will be enough to keep the carpet clean without damaging it. Q: How important is vacuuming? A: With the amount of pet hair and airborne pathogens around, cleaning and using the vacuum regularly is essential for hygiene in the home. Wool flooring is routinely installed on aircraft. So with their high standards and regulations, especially against fire risk, there's no better evidence from a safety point of view on the qualities of wool. Q: How often should rugs be cleaned? Depending on you time, but as many times as you can, in keeping with your usually cleaning duties. Note: Professionally Cleaning services can be used once a year for rugs. 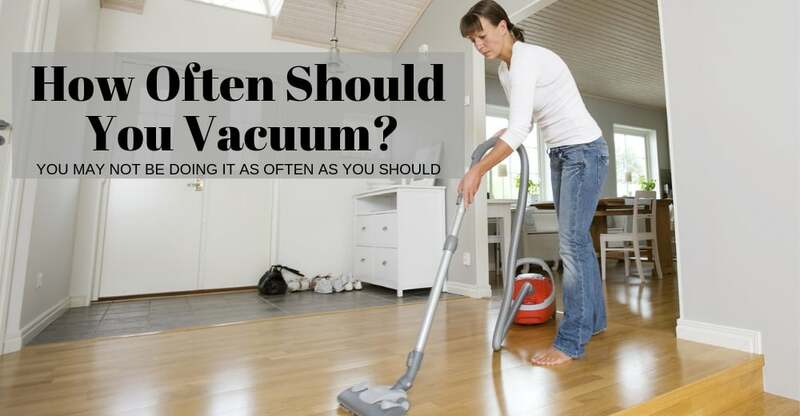 So there we have it, with all the best tips on how often you should vacuum your home. This expert guidance on the basics to vacuum once or twice a week. However, as we have explained above this can depend on many factors like what type of home you have, You may have good reasons that prevent you from vacuuming your house day in, day out. If you have pets, you will need to keep on top of pet hair and allergens. There is a lot to consider, and we hope this guide has helped to keep you one step ahead of the dust and grime in your household.